What is an Oil Furnace? How Much Does an Oil Furnace Cost? Not everyone understands what an oil furnace is and how it operates, especially those living in temperate climates. On the reverse side, homeowners living in the northeast region where temperatures plummet are sure to have knowledge of these home heating systems. Energy efficient oil furnaces keep your dollars in your wallet with lower monthly utility bills. They’re also ultra-quiet which adds to the total comfort of your home. Oil furnaces provide a reliable heat source and this is especially helpful for homes that may not have access to other fuel options such as gas or propane furnaces.Oil furnaces are a wise investment that should provide a positive ROI “Return on Investment” with a long lifetime for as many as 20 years when well maintained. The average oil furnace costs between $500 and $2,500 for the unit alone. Prices of a new oil furnace will change with size, brand, and energy efficiency. Oil burning furnaces at that price point can heat a house that is around 2400 square feet or less. Larger homes will require larger oil furnaces in the $3,200 to $4,200 range. The average cost for total installation would be around $5,700. See costs by brands below. See our full list of the best oil furnace brands with cost comparisons, descriptions, and more. 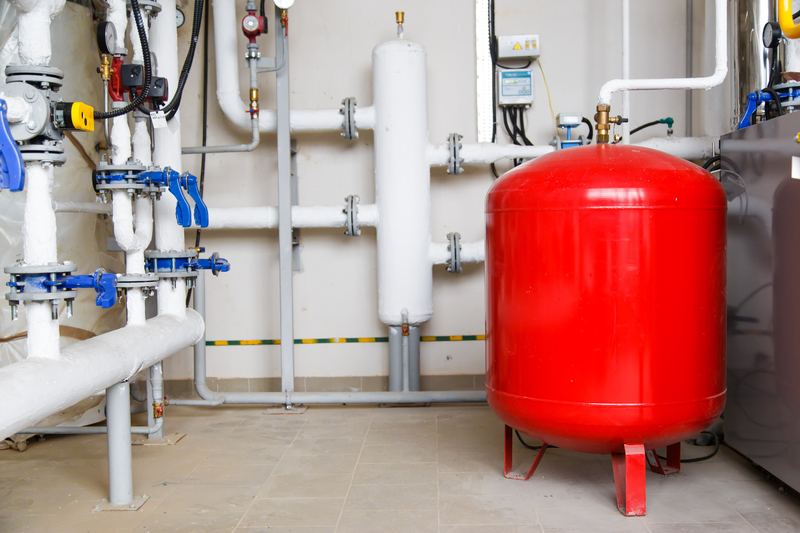 You might be thinking that oil furnaces only run on oil but there are also hybrid models that use a heat pump creating a dual fuel system that can be installed in your home. Whether you choose a traditional oil furnace installation with basic functionality, install a hybrid system, or one with additional features in your home, the result is radiated warmth during the winter, and cool and refreshed air moving throughout your home during the summer. An oil furnace can also work all year-round to keep your home aerated by constantly circulating the air in your home. Oil furnaces have what is known as an Annual Fuel Utilization Efficiency (AFUE) or energy efficiency rating. The rating is a measure of the furnace’s efficiency level in converting its fuel source to energy. The higher the rating, the more efficient the system operates. Keep this in mind when shopping for a new oil furnace or replacing an older model furnace. Ask for several bids from local oil furnace installers in order to get the best prices. It’s best practice to not always go with the lowest quoted price, as you could potentially get inferior service or HVAC equipment.. Ask your HVAC contractors what their equipment markup is. A cheaper labor cost might include hidden markups in the overall oil furnace equipment price. Ask your oil furnace installer about installing a new thermostat as well. Often, newer technologies require newer devices to run them. Ask for a detailed cost list or proposal that outlines the entire scope of the oil furnace installation job including furnace manufacturers used with model numbers and have scheduled completion dates agreed on. Ask the contractor to go over your new oil furnace price quote including mathematical calculations used to size the oil furnace. Verify that their size calculations are correct to avoid buying an incorrect oil furnace for your home. Ask for name brand furnace equipment. Cheap knockoffs can be risky investments that might fail early on and leave you without heat until repaired. A lot goes into installing a new oil burning furnace and it’s important to choose the best HVAC contractor for the job. Being thorough and doing your homework will increase the chances of an easy electric furnace installation or repair. Use this step by step HVAC contractor checklist during your HVAC installation to make things easier on you. First and foremost, do your homework and learn the basics before setting foot inside a retail or business establishment that sells oil furnaces. This also holds true if you plan to purchase the heating system and have it installed through a private contractor. Businesses are in the business to make money and if you’re not prepared and don’t know what size system you need for your home, you may end up buying more than you need. When you decide to purchase a brand from a dealer or contractor, they should perform a computerized calculation to determine unit size. If they don’t do this, the dealer or contractor will be making a random guess and that will result in an inaccurate sizing. When purchasing an oil furnace, there are two things that should be presented to you. First, the dealer or contractor should provide you with a purchase agreement. It should be one that is all-inclusive, meaning it covers all taxes, parts, and labor for installation. Second, there should be warranty and registration forms to fill out. In some cases, there may be forms that need to be filled out by the manufacturer. These forms are required by most brands in order to validate the warranty. It goes without saying that you should only be dealing with certified and licensed dealers or contractors to install an oil furnace. If working with a private contractor, ask for proof of a current license. You should not be asked for full payment before the job is completed which also includes an inspection of the system by you. As the homeowner, it’s to your advantage to inspect the installation and make sure the basic steps have been provided using a checklist. After inspecting the furnace along with the installer/contractor, and if a test run doesn’t produce any problems with operation and you’re confident the system is working properly, then it’s okay to sign the check.